376 pages | 13 B/W Illus. Examining infant through geriatric patients, this guide compiles expert recommendations and research on the wide array of conditions that can secondarily impair cognition or behavior. 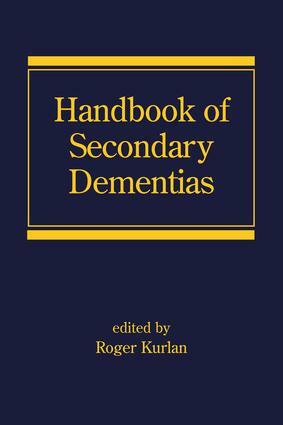 Supplying key clinical, diagnostic, and therapeutic information, this reference analyzes topics including cerebrovascular disease, infectious processes, multiple sclerosis, traumatic brain injury, adult hydrocephalus syndrome, neuromuscular disorders, metabolic disturbances, medications, psychiatric conditions, and neurodegenerative diseases in which dementia is not the primary manifestation.